In my spare time I decided to create a HTML5 game using impactjs game engine. The aim of the game is to collect ammunition around the map and shoot the boulders using the spaceship. 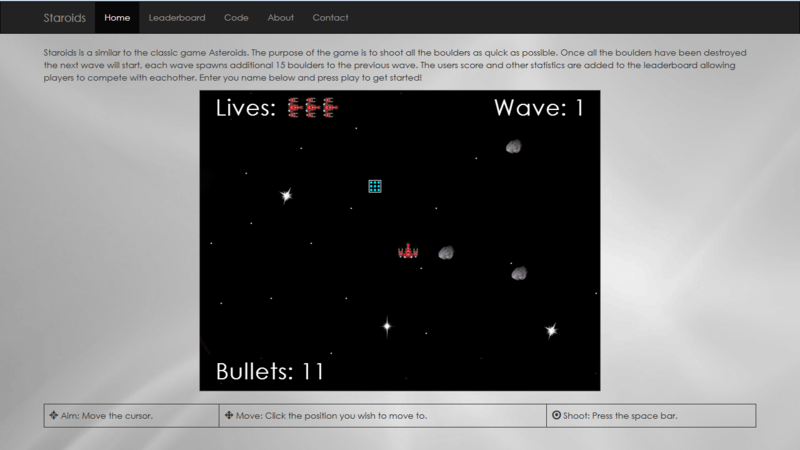 It is fairly similar to the classic game asteroids. You can view the game at staroids.co.uk.